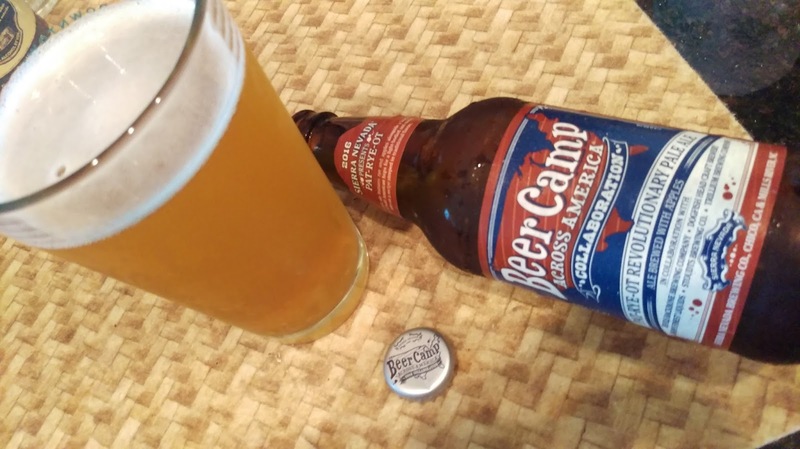 BrewNymph®: Sierra Nevada Beer Camp Across America Kicks Off in Tampa! 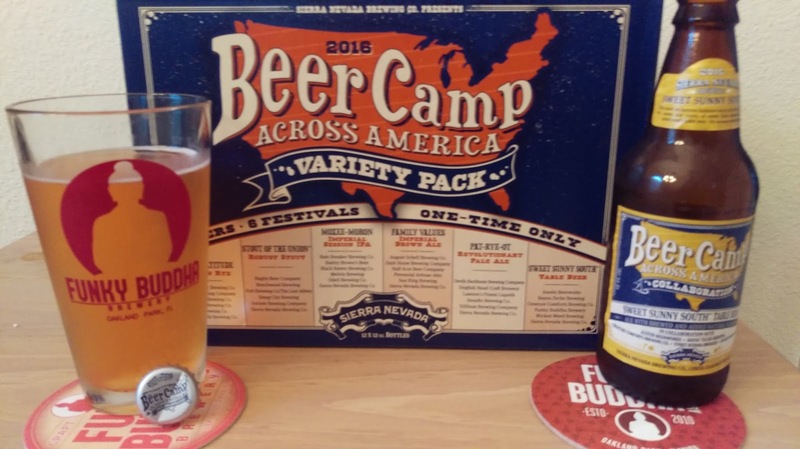 Sierra Nevada Beer Camp Across America Kicks Off in Tampa! 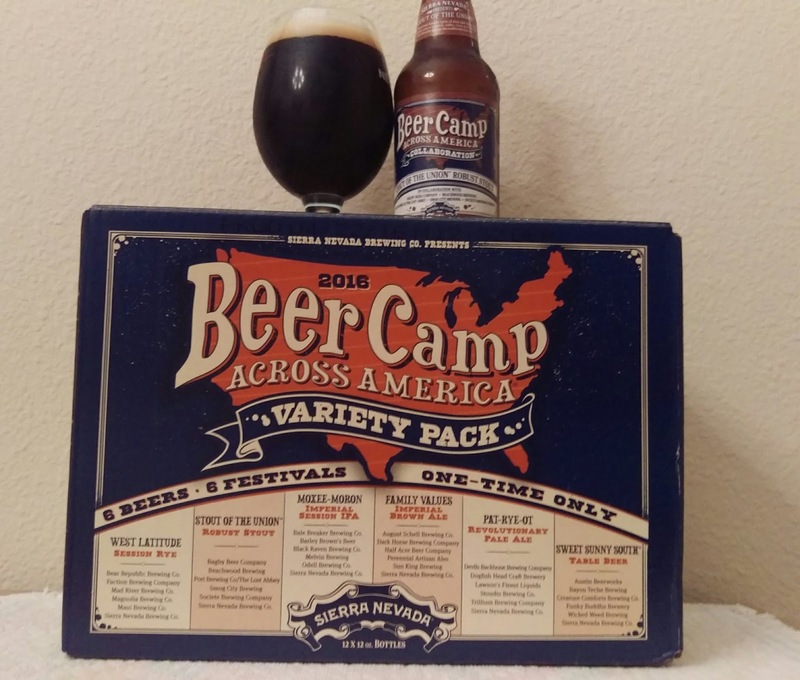 Four months ago, Sierra Nevada Brewing Co. announced the details of its 2016 Beer Camp Across America set of six collaboration beers with 30 other craft breweries from across the U.S. 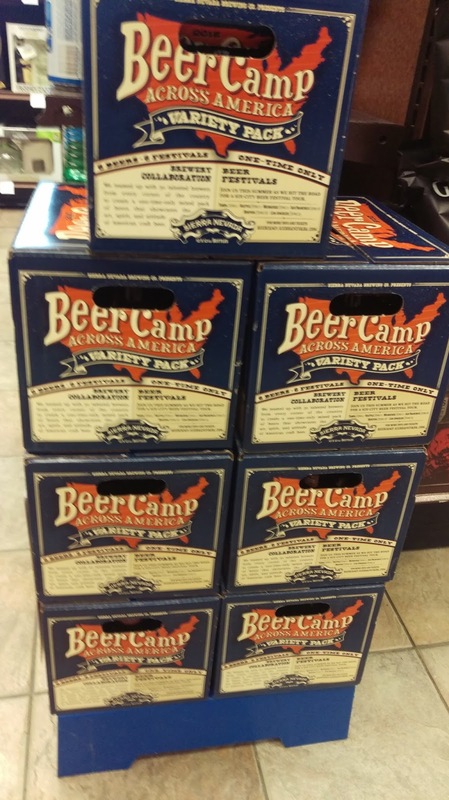 The 12-bottle box hit the shelves in May, leading up to this year's Beer Camp Across America Beer Festivals, a celebration of craft beer taking place in six craft beer-loving cities. The festival series kicks off on June 4, with the first fest in Tampa at the Curtis-Hixon Waterfront Park from 5-10pm. 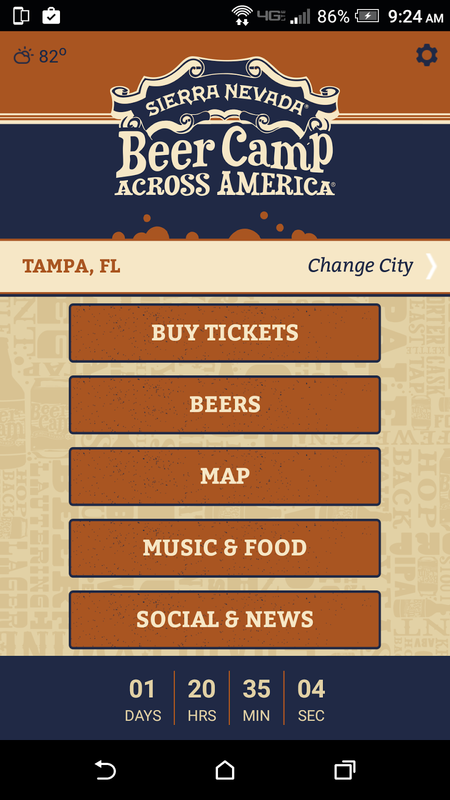 As of this writing, it looks like attendees at the Tampa fest will be able to sample brews from around 100 different breweries. Tickets are available under VIP (hour early entry) and General Admission options. It's an understatement to say that I'm looking forward to Beer Camp Tampa! 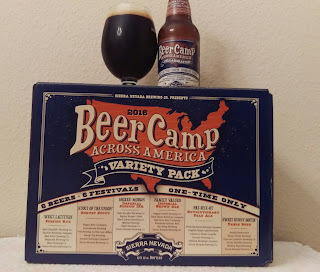 It's a new concept, with Sierra Nevada only having started the Beer Camp in 2014. It's grown in size and in spirit over the past two years. For 2016, the 31 beer collaborators formed six regional teams to produce six beers, drawing on ingredients, flavors and lifestyles from the local geographic areas. Following the Tampa fest, the festival tour moves on to Milwaukee, Seattle, Boston, San Francisco, and rounds out the festivities in Los Angeles on June 25. 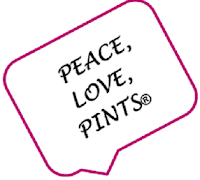 Each fest will also feature numerous breweries within and outside of each local region. Further, proceeds from each fest benefit local brewers guilds and other industry partners. 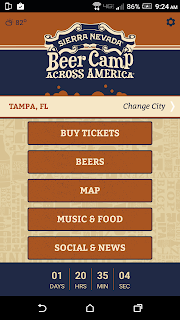 For the Tampa fest, the Florida Brewers Guild is the beneficiary partner. And, in case you're wondering, proceeds from the retail beer sales go toward hop and barley research. Sweet Sunny South Southern Table Beer (4.9 ABV) (South Region): One of the collaborators (as well as the team captain) on this beer is South Florida's own Funky Buddha Brewery, which produces a number of highly popular and sought-after beers, including the acclaimed Maple Bacon Coffee Porter (so popular, it has its own fest in January; see my earlier article for a recap). The Sweet Sunny South Beer Camp beer has a tropical fruity aroma, and flavors of topical fruit and citrus, and a noticeable herbal character. What's in it? Corn grits, tea leaves, peach, papaya, guava and prickly pear. 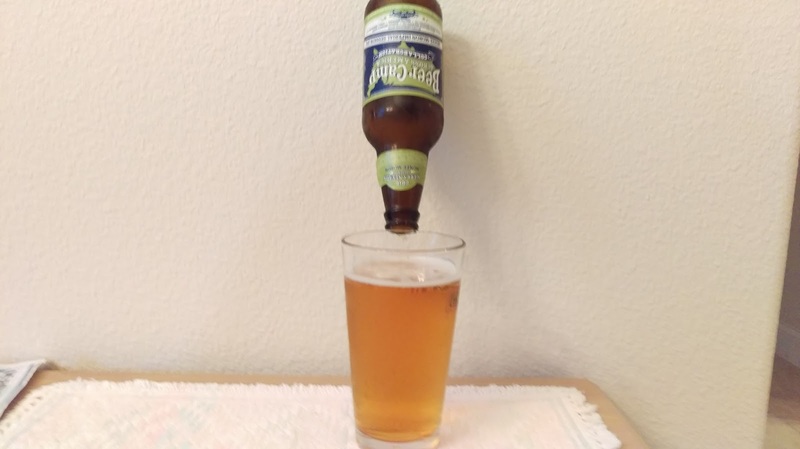 Really nice and easy drinking, especially on a warm day or summer night -- picture yourself on your patio or deck sipping this Southern beer! West Latitude Session Rye (5.5 ABV) (West Region): I thought this beer was definitely West-Coast-ish, with a bit of a hoppy aftertaste. The flavor is fruity and citrusy, with a touch of floral (from the hibiscus) and a bit of spiciness from the rye. It's surprisingly darker than you might think, but an easy one to drink. Pat-Rye-Ot Revolutionary Pale Ale (5.6 ABV) (Northeast/East Region): This ale features rye and apples. It's hop-forward, with a nice slight sweetness from the apples, which complements the spiciness of the rye. It has a dank, hoppy aroma and some piney/citrus notes. That said, it's not a heavy beer, and one you'll like to drink again! Stout of the Union Robust Stout (7.3 ABV) (West Region): It's no secret that I love stouts and porters. No, I didn't go into this one with a predetermined favoritism. In fact, if anything, I was probably a bit more judgmental on this one. It didn't disappoint. It poured with a beautiful tan head. 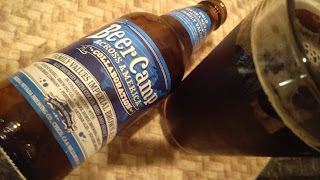 I mostly noticed a roasty aroma, followed by flavors of coffee and cocoa/chocolate, which were balanced. A full-bodied, very flavorful beer. Yeah, I have to say this one was my favorite, after all! Moxee-Moron Imperial Session IPA (7.5 ABV) (Northwest Region): First of all, yeah, it says "Session IPA" and it's 7.5 ABV. It's an oxymoron all the way around, with the name of the beer also drawing from the city of Moxee WA, smack dab in the Yakima Valley hop country. It's hoppy alright, with citrus, tropical and fruit flavors. I liked the different hops mixing together, instead of predominantly featuring the usual citrus that sessions generally seem to yield. Not your typical session IPA, and I liked that! Family Values Imperial Brown Ale (8.5 ABV) (Midwest Region): Check out these ingredients: Minnesota wild rice, Indiana honey, Missouri oats, Michigan hops, Illinois cocoa nibs. That's a collaboration! 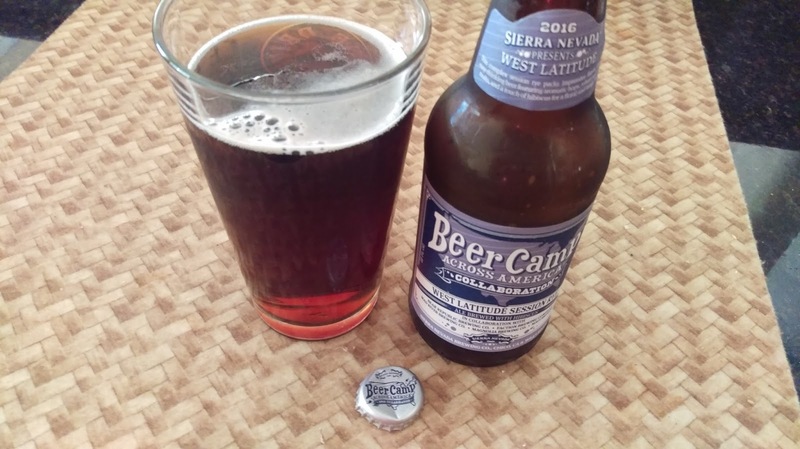 The beer has a roasty character, and it leaves the palate with chocolate notes. Note the ABV, and I found that the strength of the beer increased as it sat in the glass for a bit. Good all-around brown ale, with a kick. 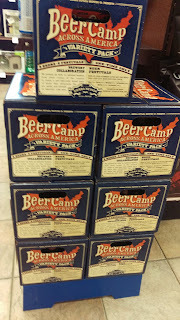 Look for my photos and social media posts from Beer Camp Tampa. Is it Saturday yet? .... Hope to see some of you there!